Convert OLM software converts all items of OLM file i.e mails, contacts, calendars, Notes and Tasks to Outlook PST file format. Emails of OLM file is converted along with its embedded attachment and the attachment may be in any form like images, documents etc on maintaining its HTML formatting. Emails of OLM file can also be converted to EML, MSG file format which is easily supported by many Applications like Outlook Express, Window Live Mail etc. When the OLM file is added first time to the software, file loads with items count and the tool allows user to save the scanned file for future use. After complete transfer of OLM to PST file, the folder structure will be the same in Windows Outlook as it was in MAC Outlook. This tool allows the user to select desirable folder for conversion. Select the only folder you want to export from Mac Outlook to Windows Outlook PST file. If the file size is larger then users can break it into smaller PST files so that it is easily manageable and less prone to corruption. User can get preview of all items of OLM file like mails, contacts, calendars, tasks, notes and emails attachments with all of its attributes. Mac Outlook To PST Converter tool is windows based tool, it is not supported by Mac Machine. So it can be run only on Windows machine. For OLM emails to EML/MSG conversions, the software provides various different naming conventions in which the exported individual mails can be saved, it can be saved by its subject, MD5, etc. OLM is a file extension used in MS Outlook 2011 for Macintosh OS to store the database of Outlook 2011 such as Mails, Contacts, Calendars, Tasks and Notes. This .olm file extension cannot be opened by any other enail clients and OS other than Outlook 2011 for Mac OS. It should be known that Mac Outlook does not stores its database file in OLM file by default. Users have to export the database file in OLM file extension. It stores only indices in the database file. It stores data records i.e individual emails within folder to sub-folders in series of files. The maximum size of Mac Outlook OLM file is not defined anywhere but in general OLM file should not exceed 2GB because it may lead to some corruption issues in Outlook 2011 OLM file. Step 4: Export the file. Watch fully animated and dynamic video of Mac Outlook OLM to PST converter tool that will guide our users about its working. 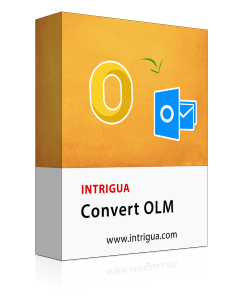 Convert Mac Outlook OLM to PST, EML, MSG by easily by watching this video. Does the Windows Outlook created PST file can be view on Mac Outlook? Yes, Windows Outlook created PST file can be easily opened and viewed in Mac MS Outlook 2011 but the vice-versa is not possible. Can this conversion take place without Outlook installation in machine? No, Outlook installation is a necessary condition to migrate from Mac Outlook to Windows Outlook using this tool. What is the size limit of OLM file which I can convert to PST using this OLM to PST exporter product? There is no specified size limit of OLM file for conversion. You can export any size of database file using Mac OLM to PST converter tool. Can I run this software on my Macintosh OS? No, Convert OLM to PST tool does not support to Mac OS. It can be installed and run only on Windows. Yes you can use this application in Windows 10 and all other below versions of Windows. In my organization, while some of the employees works on Windows Machine and others works on Mac machine. So Mac Outlook OLM file is unable to open in Windows Outlook which causes many problems to the organization. Then I read about this OLM to PST Converter software and prefer it in my office, it helped lot to our organization by converting Mac Outlook OLM to PST file format. I was using MS Outlook in Mac Machine and always keep updating backup of Outlook on some other applications. When I lost my Laptop i was in trouble how to access that Mac OLM file. I found this tool which export OLM to PST by surfing on Internet to find the solution for this. I decided to use this utility and I experience that it is very trouble-free approach to convert Mac Outlook To Windows Outlook.